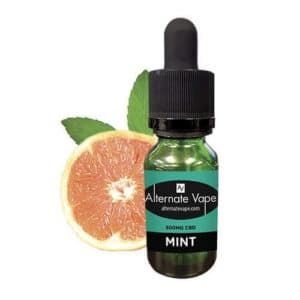 If you’re looking for one of the absolute best and most popular CBD vape juice manufacturers around today, then look no further: Alternate Vape is the ideal choice. 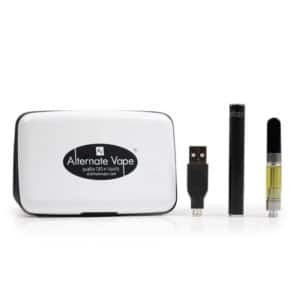 Perfect for beginners and seasoned vapers alike, Alternate Vape creates powerful, all-natural vape products. Formed back in 2015, Alternate Vape came to be after recognizing a pattern of unnatural ingredients in many existing vape products. To combat this, they created a vape oil blend containing only three ingredients: MCT oil, CBD, and terpenes. It’s now one of the most powerful and popular CBD vape oil products on the market today. Based in Jenison, Michigan, Alternate Vape values quality above all else. Their CBD vape oils are free from THC and can be used safely as a daily supplement. 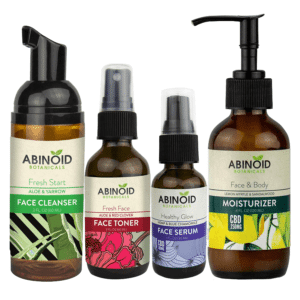 Their facility follows GMP standards, and everything they produce is third-party lab-tested to ensure only the best, most high-quality product finds its way into the hands of their consumers. Why Choose Alternate Vape CBD Oil? 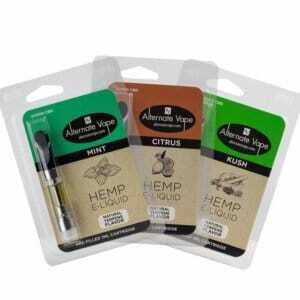 Alternate Vape has considered every aspect of the vaping journey with their selection of product types. For beginners, the Alternate Vape CBD Vape Shot Kit is the perfect introduction to the world of vaping CBD. It’s incredibly easy to use, lightweight, and portable, and it comes with one CBD Vape Shot, in either a refreshing mint flavor or a sweet citrus flavor. And for seasoned vapers, their bottle of Cannabis Vape Oil with CBD will be a most welcome addition to your vaping repertoire, while the Silver Blend CBD e-Liquid is the very definition of variety when it comes to taste. Choose from seven fun flavors, including Blue Cotton Candy, Margarita, 7 Citrus, Strawberry Dream, Apple Pie, Island Joy, and Cinn-A-Roll. Made using only all-natural ingredients, you know where you stand with Alternate Vape. Take your next vape session up a notch with one of their flavorful and satisfying products. Why Order Alternate Vape Online? There are plenty of reasons why you might want to buy one of their products, but why should you buy your next Alternate Vape CBD e-liquid, vaporizer, or vape oil online? It’s simple, really: we’ve carefully curated our web shop to make sure it offers only the best quality and selection of CBD products available today. And we’ve worked hard to make sure the entire process is as straightforward as possible. Browse and buy from anywhere, at any time, with Healthy Hemp Oil. Remember: If you are lactating, pregnant, or suffering from a serious illness, ask your physician before taking any supplements or changing your diet in any significant way. Also, remember to keep your Alternate Vape CBD products in a dry and cool place, out of the reach of children and pets. This attention to detail extends to our carefully curated selection of Alternate Vape products. It’s incredibly important to us that you feel confident in your next CBD purchase, and if you’re ever unsure about anything related to CBD, our friendly and knowledgeable support team are only a click away. Browse our range of Alternate Vape CBD vape oils, e-liquids, and vape shots, or get in touch if you have any questions.